Start off your visit on the 26th (Mon): take in the spiritual surroundings of Santuario di Santa Maria della Vita, pick up a one of a kind souvenir at Libreria Nanni, then indulge in some culinary diversions at a local gastronomic tour, then look for gifts at Crete - Piece Unique, and finally look for gifts at De Paz Uomo. On the next day, look for gifts at La pentola del te, work some fitness into your day at Torre Prendiparte, then appreciate the extensive heritage of Le Mura, and finally admire the masterpieces at Palazzo dei Diamanti. To see other places to visit, more things to do, reviews, and other tourist information, read Bologna vacation builder. If you are flying in from United States, the closest major airport is Bologna Guglielmo Marconi Airport. In September in Bologna, expect temperatures between 79°F during the day and 60°F at night. Cap off your sightseeing on the 27th (Tue) early enough to catch the train to Modena. Kick off your visit on the 28th (Wed): see the interesting displays at Casa Museo Luciano Pavarotti, then make a trip to I Love Maranello, then take in the dramatic scenery at Bucamante Waterfalls, and finally experience rural life at Azienda Agricola Moscattini. Get ready for a full day of sightseeing on the next day: stop by Mercato Albinelli, look for all kinds of wild species at Salse di Nirano, then pause for some serene contemplation at Tempio della Beata Vergine della Ghiara (detto Basilica della Madonna della Ghiara), and finally look for gifts at Acetaia di Giorgio. For traveler tips, other places to visit, ratings, and tourist information, you can read our Modena vacation planner. Modena is just a short distance from Bologna. In September in Modena, expect temperatures between 77°F during the day and 58°F at night. Wrap up your sightseeing on the 29th (Thu) to allow time to take a train to Parma. Castello di Torrechiara and Rocca Sanvitale will appeal to history buffs. Museum-lovers will get to explore Museo di Palazzo Ducale and Museo del Violino. 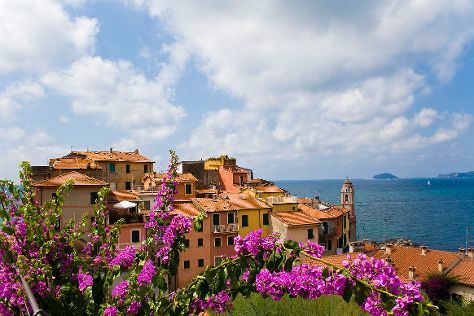 Get out of town with these interesting Parma side-trips: Carrara (La Marmifera & Asciutti Carlo), Stoppani & Peer - Drogheria Storica La Spezia (in La Spezia), Centro Storico del Paese di Tellaro (in Tellaro), Borgo Castell'Arquato (in Castell'Arquato), Castello di Rivalta (in Gazzola), Gropparello Castle - Fairy Tales Park (in Gropparello), Cattedrale di Cremona e Torrazzo (in Cremona) and Basilica di Sant'Andrea di Mantova (in Mantua). Next up on the itinerary: stop by Cioccolato Banchini and take in the spiritual surroundings of Cattedrale di Parma. To see photos, reviews, where to stay, and tourist information, refer to the Parma travel itinerary creator. Parma is very close to Modena. In September, plan for daily highs up to 77°F, and evening lows to 59°F.